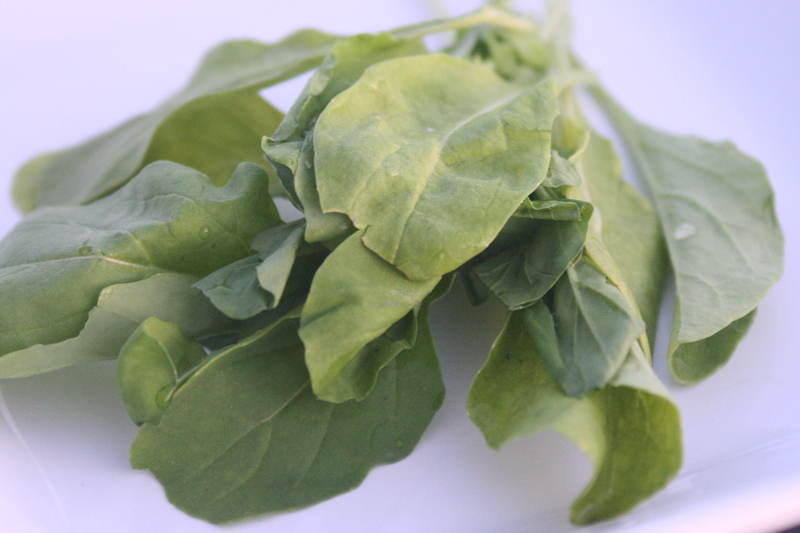 Arugula is a peppery leafy green. It's often put in the herb section. The tasty leaves are a wonderful addition to pasta or salad (I think this recipe looks awesome!). It is also known as rugola, rucola, roquette, garden rocket, Mediterranean rocket, salad rocket, Roman rocket, or Italian cress (http://www.ochef.com/151.htm). 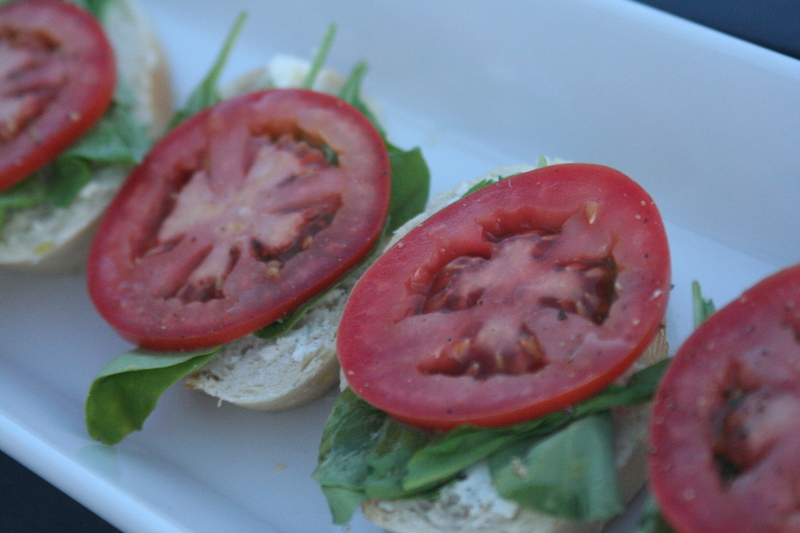 This week, I made two different appetizers with arugula. We enjoyed both, though I can take or leave prosciutto - I don't care much for the texture. These were so quick to put together and so pretty! Lay out the bread slices and spread them with the goat cheese. Place the arugula and sliced tomato on top of the goat cheese, drizzle with a little olive oil and season with salt & pepper. Serve. Place arugula in bowl. Quarter the pear lengthwise and remove the core. Cut each quarter in half again so you have 8 pieces. Dress the pear with the juice of 1/2 lemon, thyme leaves, olive oil, salt and pepper. 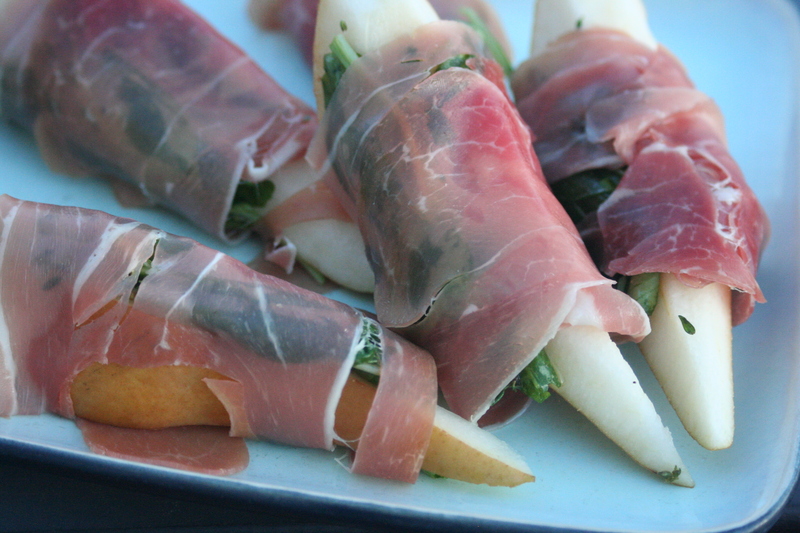 Place a few leaves of dressed greens on each slice of prosciutto with a slice of pear and roll up into a tight bundle. Cut each bundle in half, to make 16 pieces (I didn't bother as there were only five of us but I would for entertaining).